Joining the ranks of Let's Pretend This Never Happened and Carry On, Warrior, a fierce, hysterically funny memoir that reminds us that comedy equals tragedy plus time. Twentysomething Nora McInerny Purmort bounced from boyfriend to boyfriend and job to job. Then she met Aaron, a charismatic art director and her kindred spirit. They made mix tapes (and pancakes) into the wee hours of the morning. They finished each other's sentences. They just knew. When Aaron was diagnosed with a rare brain cancer, they refused to let it limit their love. They got engaged on Aaron's hospital bed and married after his first surgery. They had a baby when he was on chemo. They shared an amazing summer filled with happiness and laughter. A few months later, Aaron died in Nora's arms in another hospital bed. His wildly creative obituary, which they wrote together, touched the world. 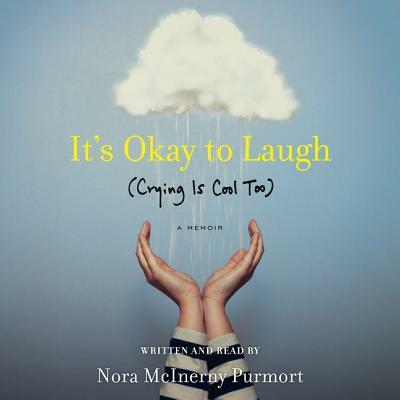 Now, Nora shares hysterical, moving, and painfully honest stories about her journey with Aaron. It's OK to Laugh explores universal themes of love, marriage, work, (single) motherhood, and depression through her refreshingly frank viewpoint. A love letter to life, in all of its messy glory, and what it's like to still be kickin', It's OK to Laugh is like a long chat with a close friend over a cup of coffee (or chardonnay).